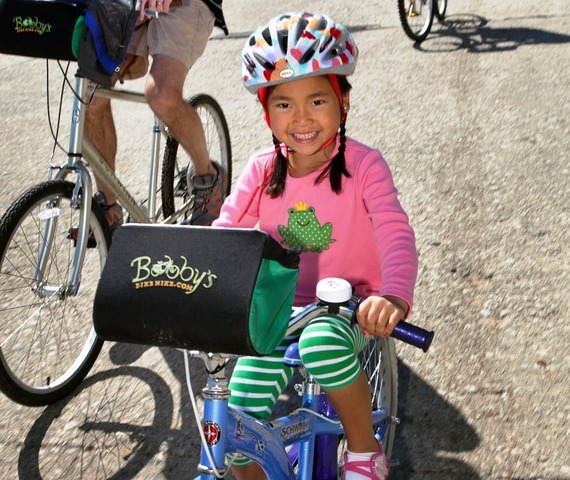 Bobby’s Bike Hike has been offering great biking and walking tours around the city since 2002, but did you know that they have a kids version of the popular tour called Bobby’s Tike Hike? I suggest the Tike Hike for kids 10 and under but they do make it fun for the older siblings as well. During the 2-hour ride, your kids will get to throw coins in the Wishing Fountain, visit the animals at the Lincoln Park Zoo, and say hey to the Abe Lincoln Statue. Just like the Bike Hikes for adults, they include Chicago history and trivia! Adult tickets are $32.50, tikes under 12 are $15.50, and tikes under 4 are $5.50- but be sure to register online for these 10% discounted prices here. I recently had the opportunity speak with the president and CEO of the Adler Planetarium and hear first hand how exciting this exhibit is. Destination Solar System leads viewers through a breathtaking tour across the solar system using exclusive space jump technology. This cosmic show integrates animation with actual images of the solar system and is narrated live by improv actors to truly create an interactive experience. I plan to visit this myself soon even without kids as it sounds to be a great trip for both kids and adults! 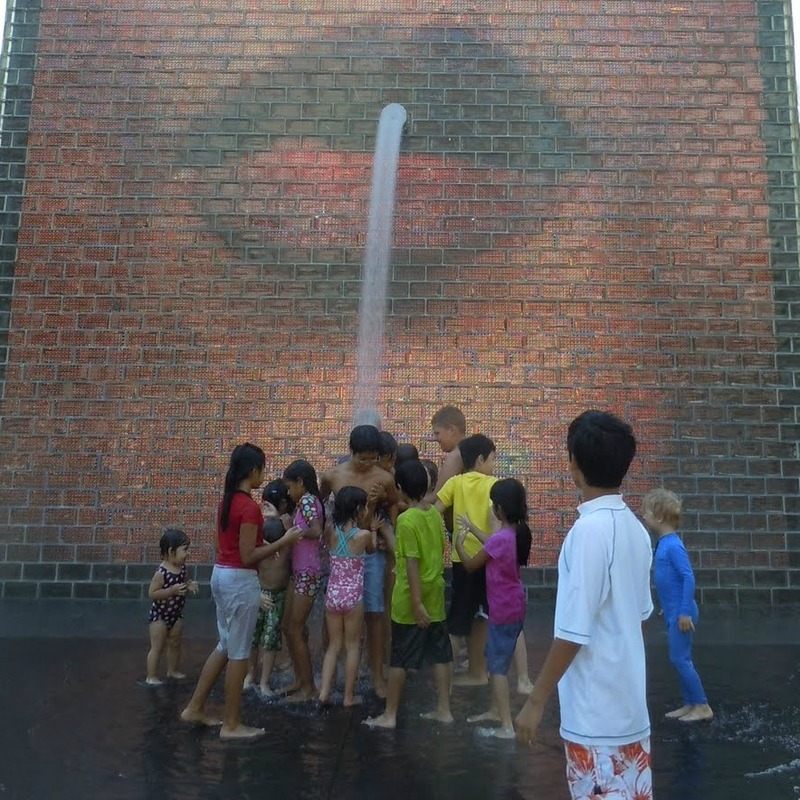 One would probably think to take out of town guests to Millennium Park before you would think to take the kiddos- but they do have a lot to offer the kids of Chicago especially during the summer! The Bean does attract a big crowd but the kids I babysit love to run underneath and have their picture taken before heading to the crown fountain (aka the statues with the faces that spit out water). Adults can comfortably sit on the wall as the kids splash in the water and watch the faces change. 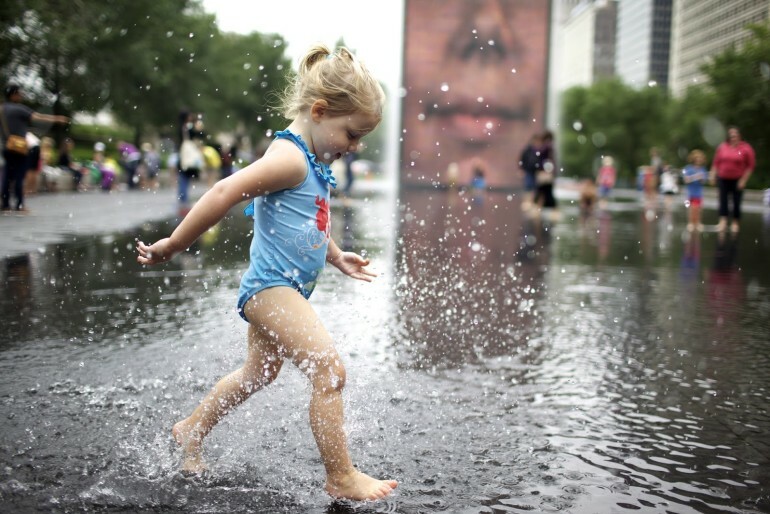 This summer, Millennium Park is hosting the Target Family Fun Festival, which offers crafts, shows, and games for kids of all ages. 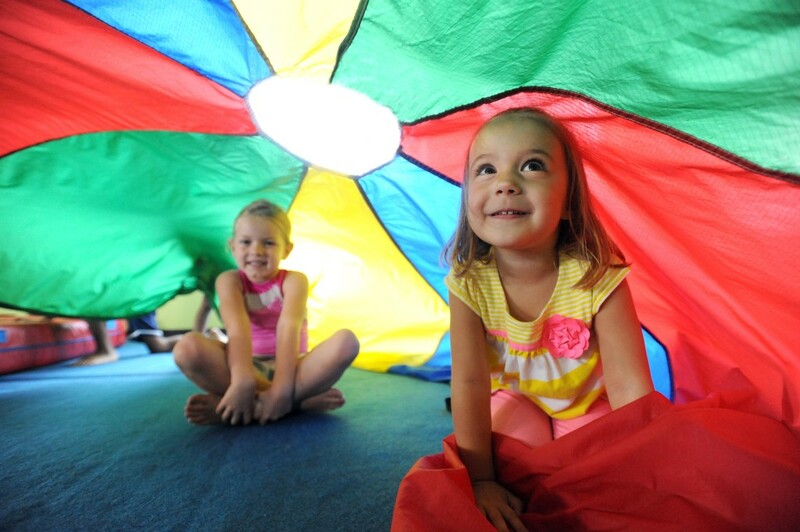 Through August 24, take your kids to Wiggleworms at 10 a.m., the Reading Circle at 11 a.m., and Family Performances at 1 p.m.. Additionally, there are reading hours and activities throughout the summer so visit the website to see which afternoon you want to take the kids! If you’re driving, get to the Millennium Park Garage before 10 am for the $15 early bird rate on weekdays. 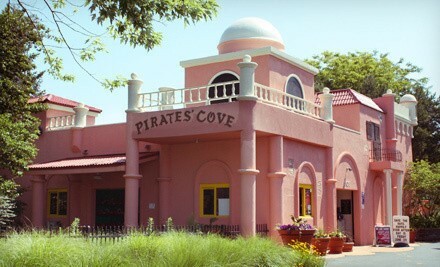 Pirates Cove is a theme park for the little ones right outside of the city in Elk Grove. They offer several different hands-on and active attractions such as The Castle of Camelot, which is complete with the fire-breathing dragon, Misty. At Pebble Pond, your child can be the captain in a paddle boat! The kids can also race each other down the Pirate Plunge or climb until their pirate heart is content at Pirate Pete’s Climbing Wall. According to the website, the idea behind the park is to “stimulate and encourage the creative exploration and imagination of children between the ages of one and nine.” I was recently babysitting and when my 4-year-old pal heard his mom whisper the words “Pirate Cove” to me he started spinning in circles with excitement. General admission is $11 or if you want to be a Pirate all summer you can check out the VIP Pass (Very Important Pirates). The VIP Pass is $50 per child for unlimited visits to the cove! Little Gym isn’t just a Chicago thing as they have 300 locations world wide, but they do seem to be pretty popular amongst the Chicago tikes. They offer parent/child classes, karate classes, gymnastics, and plenty other classes and camps. While it’s all about having fun at Little Gym, they strive for what they call, “3 Dimensional Learning.” The three dimensions are promoting fitness by getting the kids moving, a brain boost by helping with decision-making and focus, and “citizen kid” by exercising life skills like listening and sharing. Located at 3216 N. Lincoln Ave, you can go in for a free introductory class or enroll now for a summer camp through August 22.